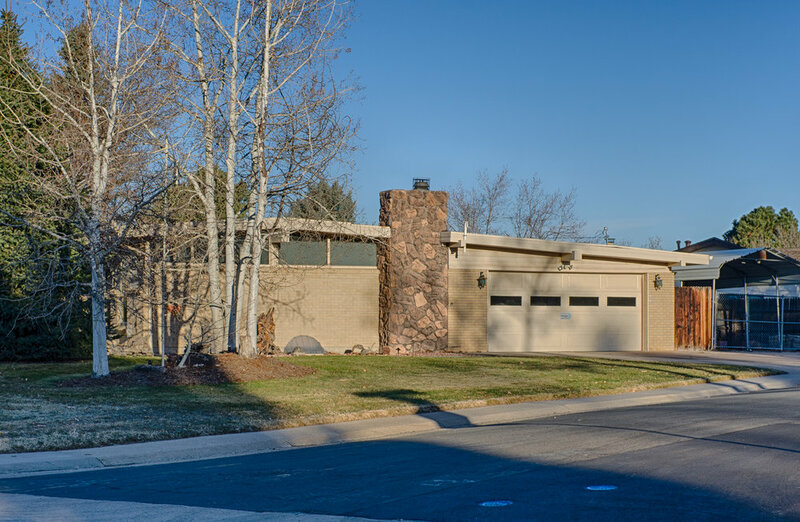 Dream House Acres is a large neighborhood in Centennial situated east of University Boulevard extending between Orchard and Arapahoe. 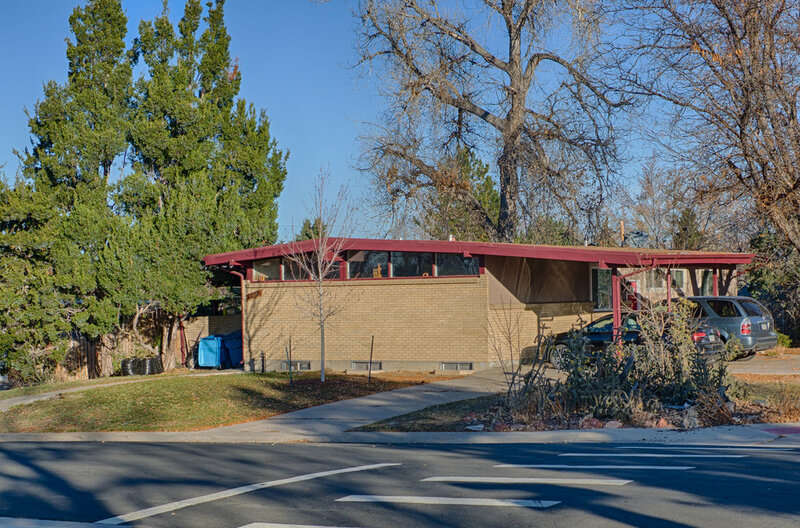 It is what I refer to as a “mixed” style neighborhood, where the builder offered a mid-century modern option among several different styles of houses. 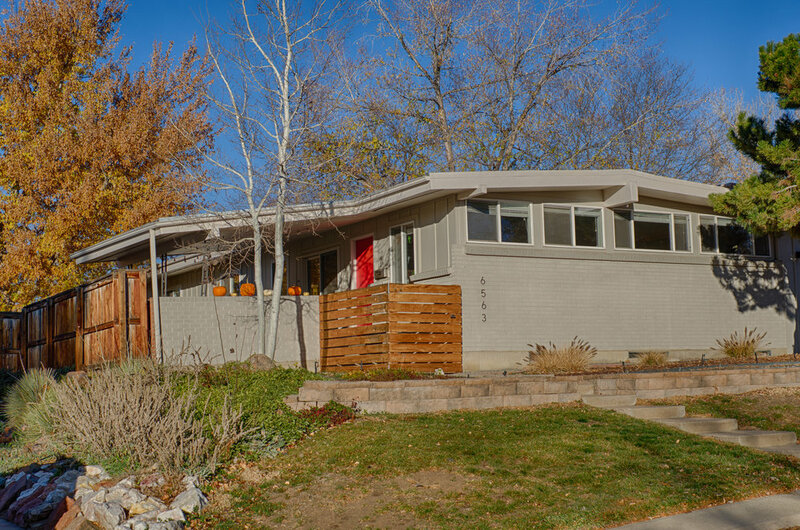 What makes Dream House Acres special is the sheer number of mid-century modern houses that were built . . . over 140. 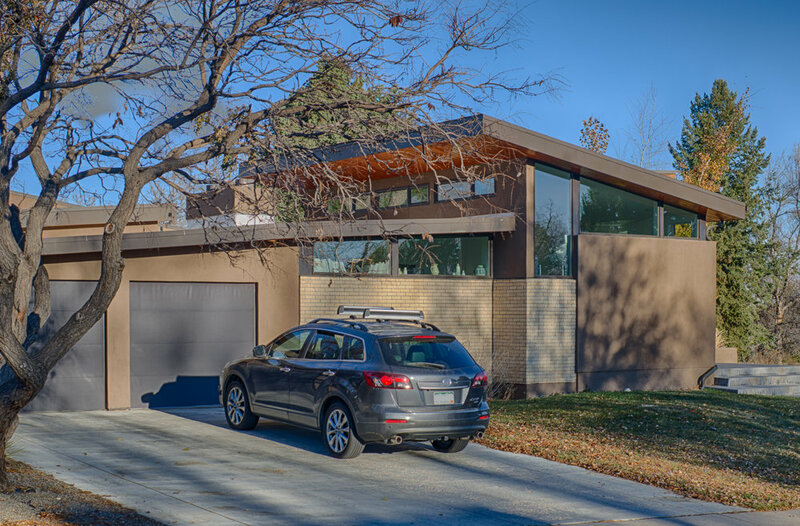 The house design that was offered features a low-slope roof and post-and-beam construction. All of the houses face the street in the same manner, with a brick façade and glass gable under. 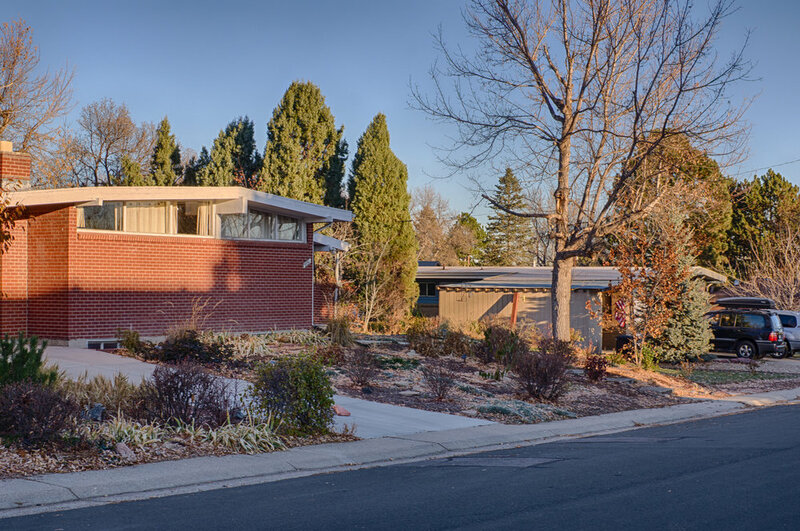 The design of these houses exchange the street-appeal of a wall of glass for the privacy offered by the glass gables, which still let in ample light. 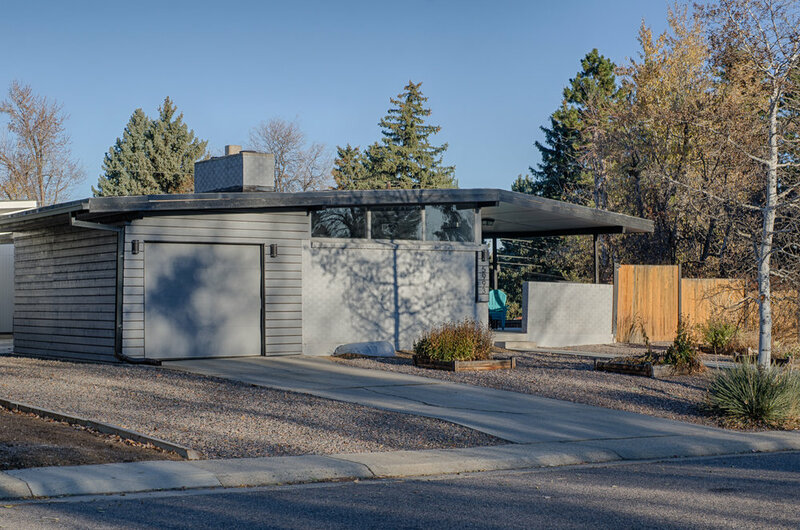 There are some variations to the model, with some featuring half the façade stepped back to create a covered entrance patio, and others with the roof line extended on one or both sides of the house to create carports, garages and covered patios. All of the houses were built with basements, which when finished, typically offer over 2,000 square feet of living space. The neighborhood is in a good location, and as such, many of the houses are in good condition, with the most common problem being with insensitive renovations that clash with the original design. 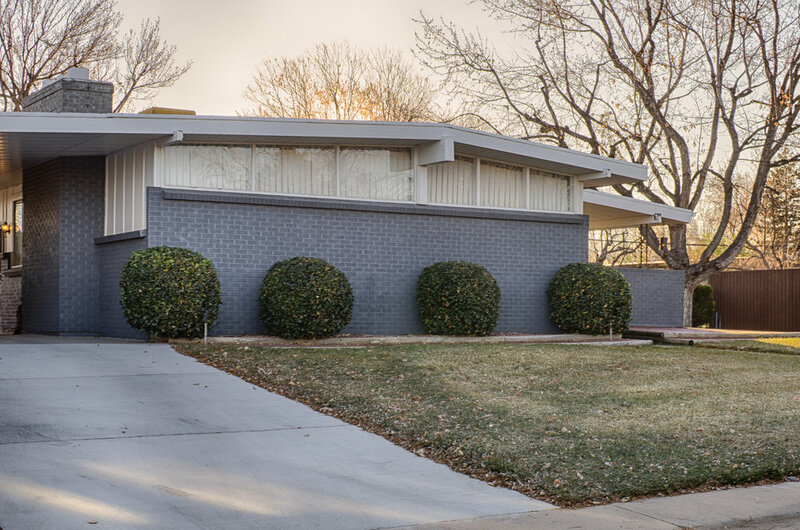 There are several renovations throughout the neighborhood, some as simple restorations, and others that significantly alter the architecture of the houses . . . either way, there is a demonstration that residents are eager to invest in this neighborhood. It is not known who designed the houses, nor what developer was involved with the appropriately named Dream House Acres, Inc., but interestingly, the company developed another neighborhood under the same name using a similar, if not duplicate mid-century modern model, located just south of the Thornton border in the northwest suburbs. 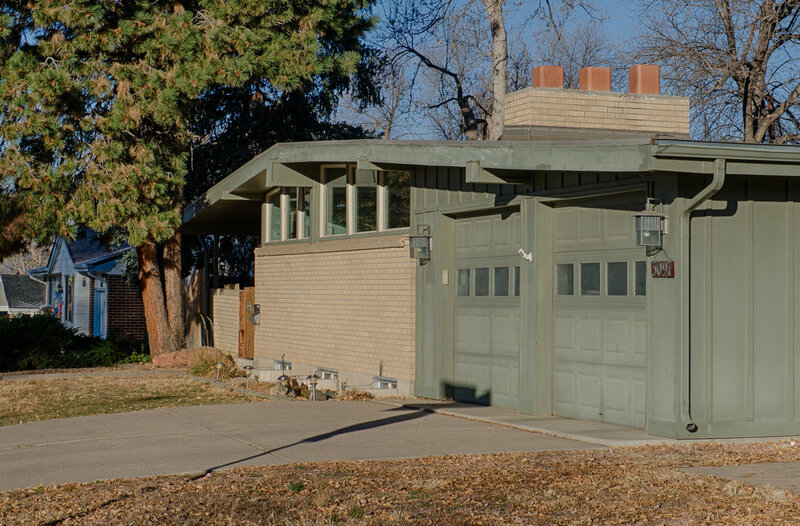 That Dream House Acres (which was originally marketed as Northfield Estates) hasn’t fared as well as the one in Centennial, with fewer restored houses, and some in distress; but that in-turn offers a great opportunity to invest in a future up-and-comer. If you would like to learn more about the north Dream House Acres, drop me a line! Dream House Acres can be found at Lake & Detroit in Centennial, which is near the intersection of University & Orchard. Learn more at the Dream House Acres blog.